Bougainvilleas infront of buildingssteemCreated with Sketch. 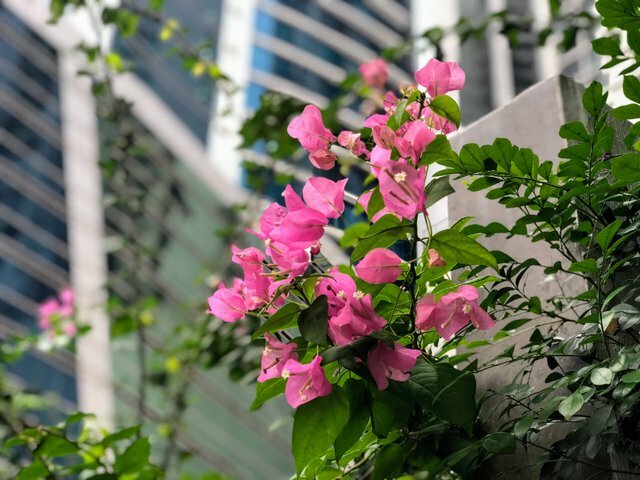 Today when I was walking down the street I got this magnificent view of a Bougainvillea tree and caught a glance of these buildings on the background, and I thought to myself, this is worth a shot. I hope you like it and enjoy it at least as much as I did! If you want to see the full size picture and other pictures I’ve taken, go ahead and click the image which will take you to my website! Thanks! I was just lucky to spot it. Love the contrast between concrete and nature too. @mdimrankhan. I noticed that a number of your comments add nothing to the topic of the blog. Things like “nice post..” and “wow really nice”. These kind of comments seem rather aimed at drawing attention to yourself. You also seem to ask for follows. This is frowned upon by the steemit community of which you wish to be part. Maybe you have not read some of the guides about commenting. Your comments risk getting a flag from a whale which would destroy your reputation. Unfortunately I have no reputation yet, so you could flag me or whatever you like, and I can’t do a thing, but as the acorn said to the bush “One day I will be bigger than you”. You have been warned. Take heed. Congratulation jcbit! Your post has appeared on the hot page after 53min with 43 votes. very nice photo and good shot !! !